Find Sarah Penman at http://www.penmanproperties.com or call 604-230-6755. Sarah: Some policies. Your insurance won’t tell you that because they want to be able to not pay out. Insurance companies can be so great. Sarah: But you—yeah, some policies, you have to have proof that you’ve inspected the unit. Sarah: Throughout the lease term. Sarah: We demand tenant policies that you—my tenants have to have to rent from us. I highly recommend that. That’s just a safeguarding, it’s another safeguard for the owner. So the BC tenancy law like, I understand why it is the way it is but its tenant oriented because there’s unfortunately some landlords that wanna take advantage of tenants. I totally agree, but because of that, it doesn’t protect owners very well. Sarah: So we run a thirty three clause addendum that we use on all our properties. And it’s not to take away rights from the tenant; it’s just to protect the owner. Adam: Just to protect the owner. Sarah: To protect the property. Matt: So one of the many reasons to use a property manager, it sounds like. Sarah: Yeah, definitely. Like, you know some people I’m—although I could sell a broken pen, I’m not a seller. I believe I got into this because I care; I’m a caring about people kind of person. I wanna help everyone, almost to a fault; because I put people before me too much. But you know, when you use a property manager, not only do we get a you higher price point in rent because of our reach and our exposure, and what we do; we also take the stress away. Tenants can be really annoying and really stressful. And for an owner to not have to deal it and only see us deposit money into their account every month, that’s where—that’s why you use a property manager. We know the tricks that tenants pull, we know what to look for, and we—that’s our job. So the owners have their own jobs. It’s a full time job to take care of tenants you know. And it’s possible. You can do it; but when you have multiple units, or you’re a very busy person, I don’t recommend it. Adam: You just don’t want the headache. I mean it sounds like it can be—there’s always, you always people that have had great experiences, but more often than not, you hear people that own an arrow. Sarah: And the reason they’re having bad is because they’re thinking they can do it when they know they don’t have the time and what we try to do in price points, like I researched. I started my own company as opposed to working for another one because I couldn’t find a property management company that was highly recommended. I—through the restaurant industry, I knew lots of realtors because they always sit in restaurants. So you get to know them. So I know lots of realtors and none of them could recommend to me a property management company that they spoke highly of. Adam: They all knew a real good realtor though. Sarah: Yeah, of course, definitely. So that’s why I started my own, and when I set those price points, I set them so if I couldn’t find why they were charging prices, I didn’t charge them. I think that if I do my job well, my price points cover it and I’m not here to take money from owners. That’s not the point. The point is to build my cause into the increased amount of rent I’m gonna get you. That’s how my price structure is set up. If I do my job correctly, there should be enough for us, and this makes sense for you guys to use us. Adam: Hey, and on that note, where—how can people reach you Sarah? Sarah: We—you can go to our website. It’s www.penmanproperties.com. And Penman is spelled like a pen that you write with and a man that you two are and I’m not. And then my phone number is 6042306755. Adam: Okay, excellent. Well thanks again. Matt: Yeah, thanks very much Sarah. Sarah: Yeah, no problem. Any time. Matt: So there you have it folks, our interview with Sarah Penman from Penman Properties. Adam: She’s such an interesting person and yeah. Matt: Absolutely, and fantastic points on how to manage your property here in Vancouver and I think that you should take away something from that. Adam: Well, yeah. The take away for me is that use Sarah Penman as a property manager. Matt: Anyways, thanks for tuning in and if you have any questions or concerns, feel free to call us at 7788664574. Adam: Or 7788472854 or check us out at scalenarealastate.com. Matt: And please do us a favor if you’ve enjoyed this podcast, please rate on us iTunes and share it with your friends. We’d really appreciate it. Adam: Have a great week and talk to you soon. 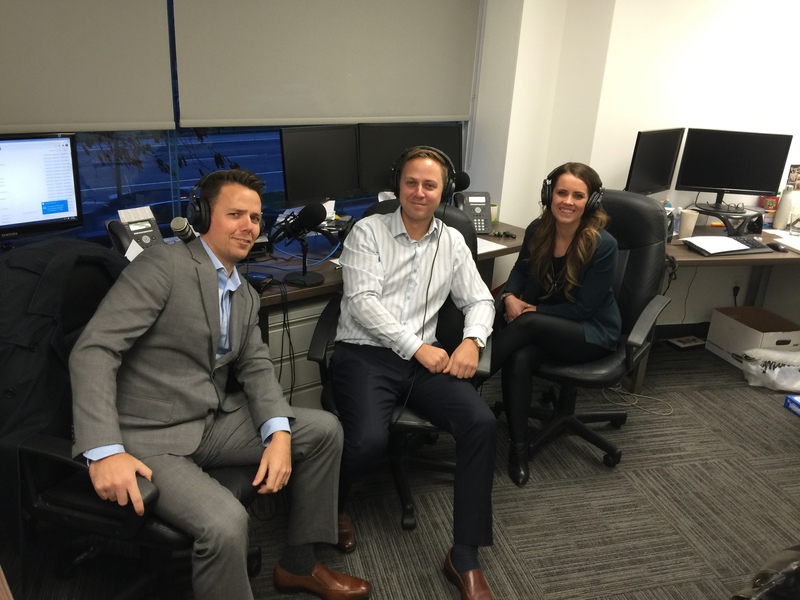 Announcer: This has been the Vancouver Real Estate Podcast with Adam and Matt Scalena. Contact us anytime at 7788664574 or 7788472854 or online at www.scalenarealestate.com. Subscribe today. previous post: What’s Fueling Our Hot Housing Market?